Following the appointment of Rt Rev Kieran O’Reilly SMA as Bishop of Killaloe last August his place on the SMA General Council has now been filled with the election of Fr Tom Curran SMA to complete the remaining three years of this mandate. A native of Gorey, Co Wexford, Fr Curran was ordained a priest in 1970. He was appointed to the diocese of Ijebu-Ode, Nigeria. A gifted teacher he taught in St Anthony’s Grammar School, Esure and Raluwen Grammar School, Atan. In 1983 he left fulltime teaching ot take on parish work and served in several parishes until his election to the Irish Provinical Council in 1989. Six years later he was asked to take charge of the SMA House of Studies in Nairobi, Kenya where he was involved in the formation of SMA seminarians for the priesthood. Conversant with the modern media it was to Fr Curran that the Irish Provincial administration turned in 2002 to establish an Irish SMA Communications Office. He is the founder of the SMA website and took responsibility for the relaunch of the ‘new’ African Missionary Newsletter. Earlier this year Fr Tom was asked to go to India to assist the Indian District-in-formation. On completion of that work he took a richly-deserved Sabbatical which is cut short by his acceptance to serve the Society at the international level. 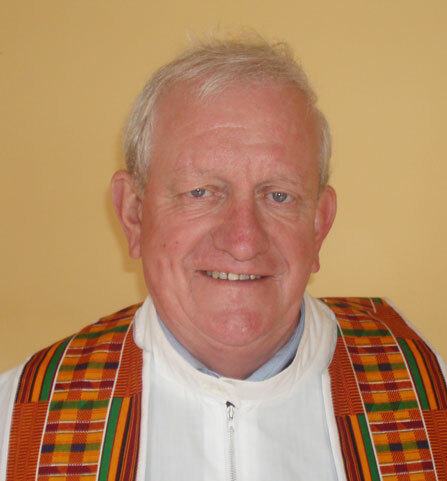 A keen golfer, Fr Tom is also gifted musically, playing the Trumpet and is widely-travelled. In Rome he will assist French-born Fr Jean-Marie Guillaume SMA (Superior General) and the other two members of the General Council: Fr Paul Saa-Dade Ennin (from Ghana) and Fr Tom Wright (from USA). Fr Curran will move to Rome shortly. We wish all of them every blessing in their challenging ministry of leadership in the SMA.